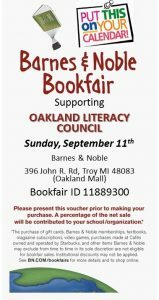 CLAWSON, MI (September 27, 2017) – Book it to Leon & Lulu from 11 a.m. to 5 p.m. Sunday, October 22 for a fresh edition of the retailer’s award-winning Books & Authors event. October is National Book Month, an entire month dedicated to the pleasure of reading and enjoyment of books. Leon & Lulu celebrates this occasion with its tenth Books & Authors event at Leon & Lulu. The event – now held in April and October – is a juried book fair featuring mostly Michigan writers. Guests will have the opportunity to mix and mingle with up to 60 authors who will sell and sign books. “We love this event, which gives authors the chance to leave their ivory towers and meet their adoring fans,” says Mary Liz Curtin, co-owner of Leon & Lulu. “We’re again working with the Oakland Literacy Council, a very important organization that will benefit from the event,” she explains. Shake the ink-stained hands of local authors and celebrate reading, writing, and really good hot dogs at Leon & Lulu’s Books & Authors event October 22. For a full list of expected authors, please visit www.leonandlulu.com/meet-the-authors. Admission is free and the event is open to the public. For more information, visit www.leonandlulu.com. Find Leon & Lulu on Facebook at www.facebook.com/leonandlulu. To learn more about Three Cats Café – the new café inside The Show at Leon & Lulu – go to www.threecatscafe.com. Daily lunch offerings are published here www.facebook.com/threecatscafe. Café, which recently opened in the neighboring Clawson Theatre. Locally owned and family run, Leon & Lulu prides itself in providing a fun, welcoming atmosphere, serving hot coffee, cookies and popcorn – often via roller skates – to visiting patrons. For more information, or to shop online, please visit www.leonandlulu.com. 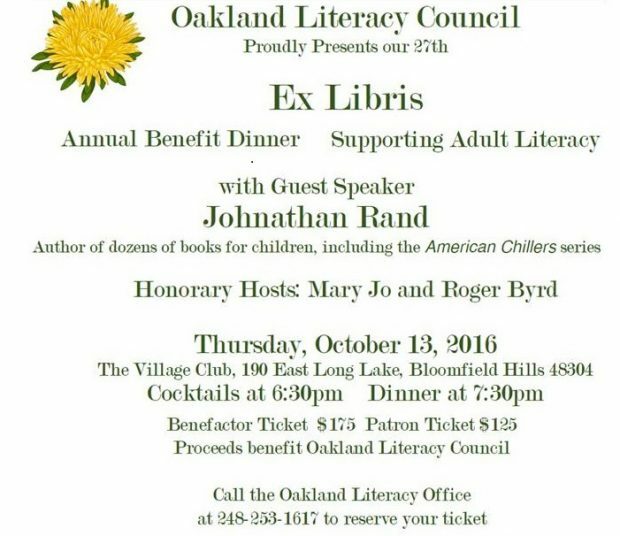 Join us for Oakland Literacy's Annual Fundraising Dinner Ex-Libris! Tickets: Patron Ticket is $125; Benefactor Ticket is $175. For reservations, please call 248-253-1617. Print this voucher and present it when making your purchase.